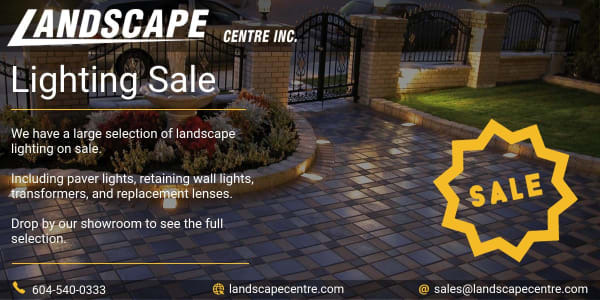 Lighting Sale | Landscape Centre Inc.
We have a large selection of landscape lighting on sale. Including paver lights, retaining wall lights, transformers, and replacement lenses. Drop by our showroom at Unit 5 75 Blue Mountain St. Coquitlam to see the full selection.